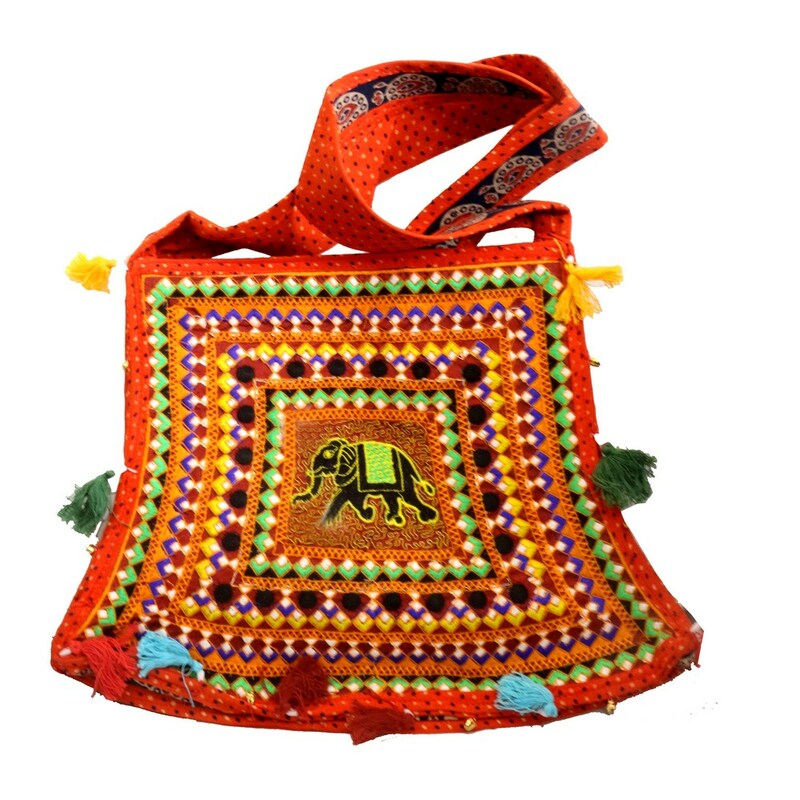 With a bright orange colour, this cotton fabric bag is ready to make any ethnic outfit gear up. The neat embroidery work all over this Read More..bag gives it a perfect finish. The elephant design printed on the front face gives it an Indian traditional outlook making it look even more pretty. Show Less..